This is a couple of months after mid-year of 2012, and I think color blocking is still favorited. Matching a color with another one which tone is difference. But when the final-look come out is breathtaking. I just explored LOOKBOOK and several fashion blogs, especially some which I read oftentimes, and found several photos about color blocking looks. How about full color sweater paired with floral trousers and Prada shoes? Bryanboy, fashion blogger, really did it. Fascinating. Diana Caitilin, fashion blogger, mixing pale sweater with blue shirt and magenta outer. One of my favorites Indonesia Fashion Blogger, Anastasia Siantar. She combined red coat and yellow mini dress. Lemon and tosca! By Anastasia Siantar. 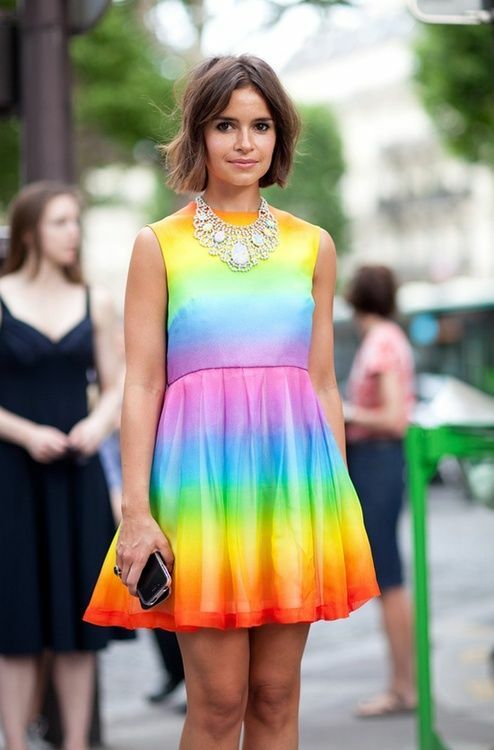 Miroslava Duma in Christoper Kane Resort dress. Pretty dress! So what do you think now? Ready for matching your several outfits with difference color and look fabulous?